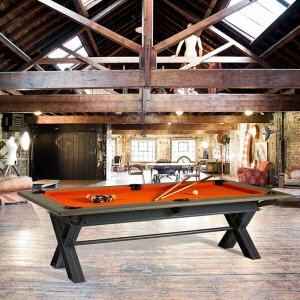 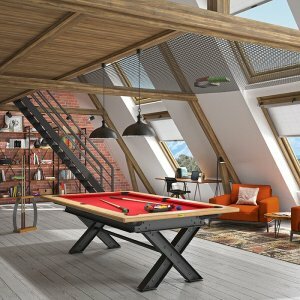 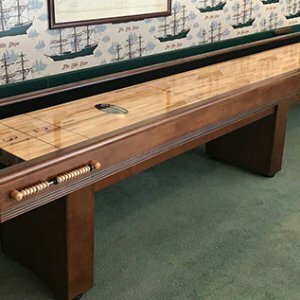 The Olhausen Blackhawk Pool Table, is a Sheer Victorian Delight, a Stunningly handcrafted pool table, carved from Tulipwood wood, nestled on solid maple rails. 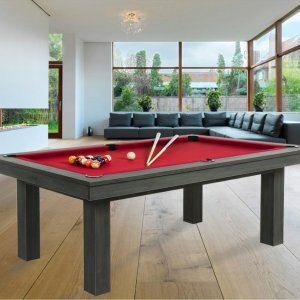 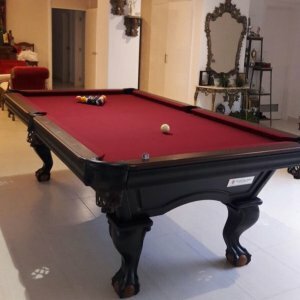 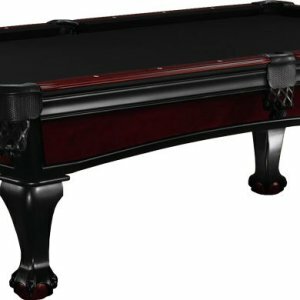 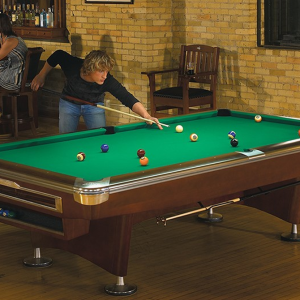 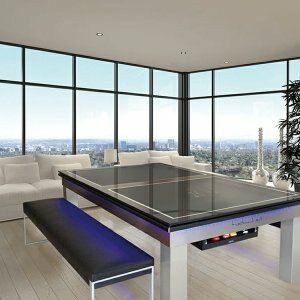 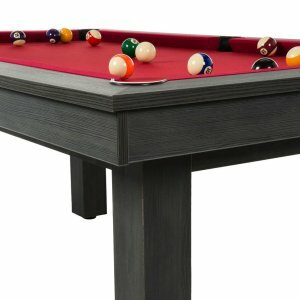 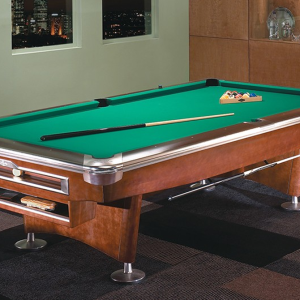 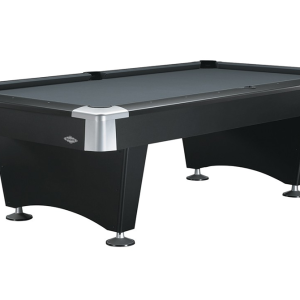 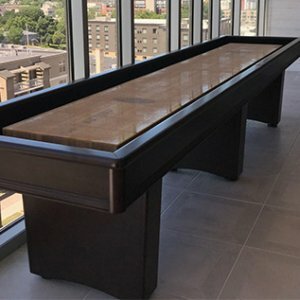 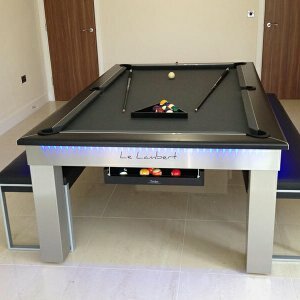 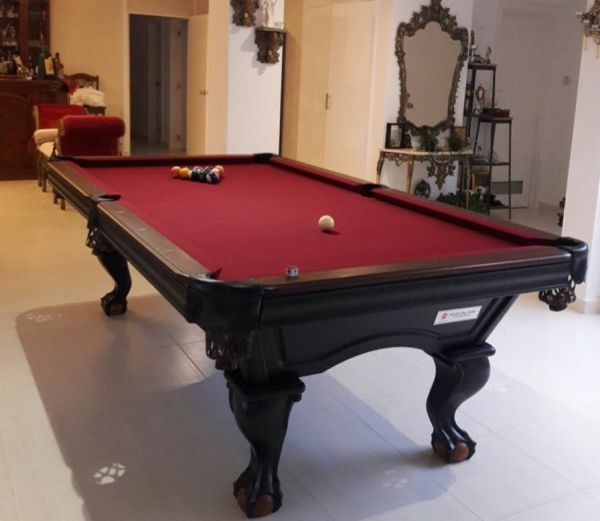 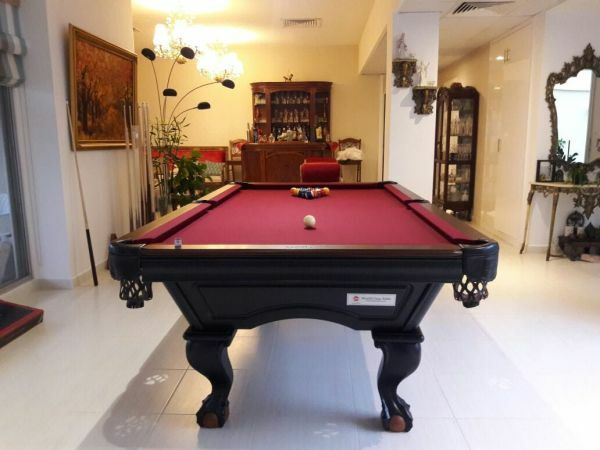 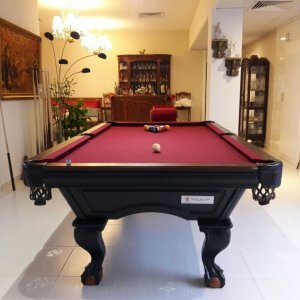 The Blackhawk Pool Table has a striking two-tone ball and claw design on the legs, that caps off the triguing matte black lacquer finish on the Tulipwood frame. 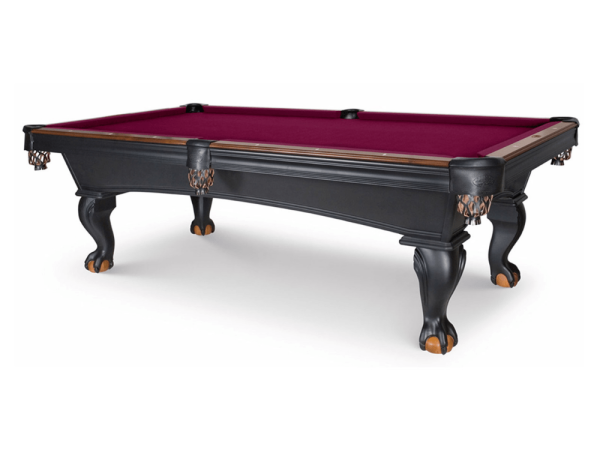 This classic arched frame and talon legs, is a certain head turner. 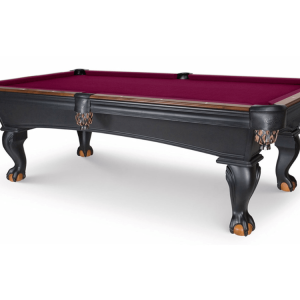 The Blackhawk features a unique two-tone finish, with Brandywine rails and feet, which is sure to impress shown in Two-Tone Matte Black finish with Brandywine Rails on Tulipwood. 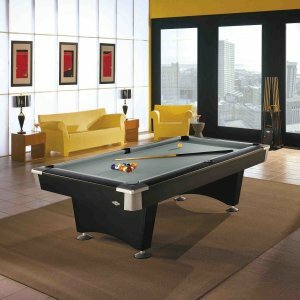 Available sizes from 7ft to 8ft.